JSC Lapshinsky Tank Farm. A Crude/Petroleum reservoir with high storage capacities located in all ports of the Russian Federation and Rotterdam. 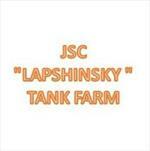 We are pleased to bring to your notice JSC Lapshinsky Tank Farm. A Crude/Petroleum reservoir with high storage capacities located in all ports of the Russian Federation. Our Team of competent experts are always interested in giving to you one of the best services and total product security guaranteeing your satisfaction and securing our values. Contact us today for our services and have your products in safe custody.